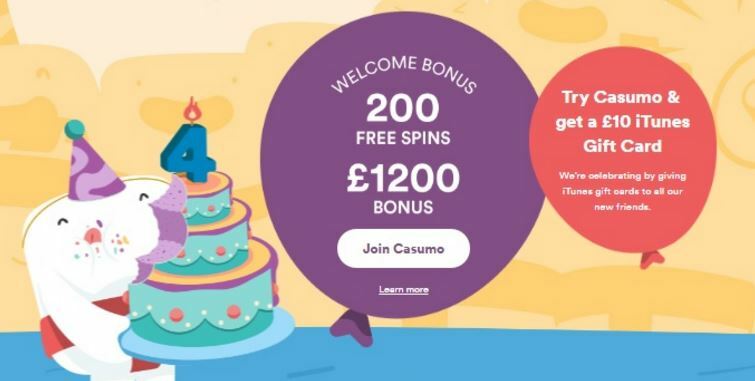 With the popular online gambling destination Casumo turning four years young this month, players are invited to come and celebrate with a free £10 voucher for film or music whenever they deposit. Although this offer is only open to players in the UK, Sweden, Norway and Finland, providing you’re accessing the site from one of those countries that really is all there is to it – simply sign in or set up an account if you don’t have one and deposit £/€10 or more and your voucher code will be created. Vouchers can be redeemed for any product available in the iTunes store – meaning players have full flexibility over what they spend their free £10 voucher on – and the best news of all is that there are no playthrough requirements attached to the giveaway; you simply get issued a personal code instantly. 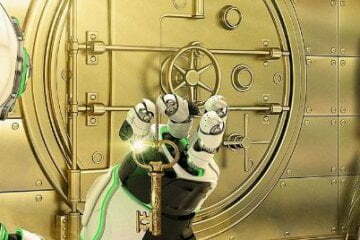 In order to locate your voucher code, simply make your deposit and then go to the “valuables” section of your account. From here, click on the iTunes valuable to get your own personal coupon number which can then be entered at the iTunes store to knock £10 off the price of any purchase. Not only that, but Casumo’s special fourth birthday celebration can also be used in tandem with any regular deposit offer on the site, meaning new players can also access one of the most generous sign-up packages in the online casino industry as well. This offer includes a grand total of 200 free spins on selected slots and a 200% welcome bonus worth up to £50 when you load your account. Further deposit match bonuses of 50% up to £150, 50% up to £200, 25% up to £400 and 25% up to £400 again are then available across your next four deposits, with players able to piggy-back the iTunes voucher giveaway onto any stage of that process if they wish to take advantage this month. Essentially, then, this is just an extra free gift on top of an already excellent offer and players won’t have to jump through any hoops with regards to terms and conditions to take advantage. As such, it really is a no-brainer whether you’re a new or existing customer at Casumo Casino, so why not head on over now, send the site your birthday wishes and walk away with a little party bag for your efforts?